Bridgework is used to replace missing teeth and are fitted depending on the health of the neighbouring teeth. The two most common types are a Maryland (sticky) bridge and a Conventional (fixed) bridge. A Maryland bridge has a wing which is cemented behind the tooth next to the space. A conventional bridge is fundamentally a series of crowns fused together. An impression of the surrounding teeth will be taken to fit the bridges and they will then be fixed onto the teeth either side of the gap. 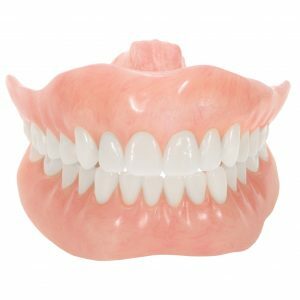 Dentures are a bespoke, removable appliance made to replace missing teeth. They are usually constructed with an acrylic base or a cobalt-chrome metalwork with acrylic attached. Dentures require multiple appointments to ensure a good fit and aesthetic that you are pleased with.